Like millions of other Americans, you’re in constant pain. It isn’t your back or your knees that is the problem, but rather your jaw. It’s stiff, pops and clicks all of the time, and it can even get “stuck” while opening or closing. For many, this kind of jaw problem is even the underlying source of chronic headaches and migraines. What is causing all of this pain? Most likely, it’s your TMJ in Deland. 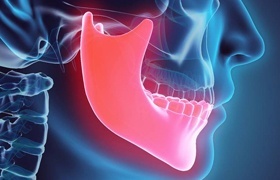 The temporomandibular joint is what allows your lower jaw to move freely, and like other joints in the body, it can sometimes be the source of major problems. What Can Cause a TMJ Problem? The TMJ can develop issues due to a laundry list of causes, but the most common tend to be stress, strain on the joint, an injury to the face, arthritis, or a crooked bite. Nighttime teeth grinding, known as bruxism, is also a well-known culprit. As many as 1 in 3 Americans unconsciously clench their jaw while they sleep, and this places a lot of pressure on the sensitive jaw joint, much more than regular biting and chewing forces. 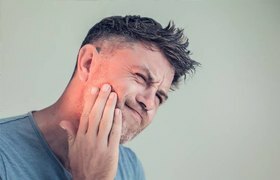 All of these causes lead to the muscles, ligaments, and nerves in the jaw developing tension, and this can quickly turn into pain that affects the rest of the head and neck because this part of the body is extremely interconnected. TMJ issues are actually one of the most common reasons for headaches and migraines! Fortunately, if you’re experiencing any kind of issues with your TMJ, you won’t need to visit some expensive specialist to have it taken care of. Your dentist in Deland, Dr. Christopher Cowell, can provide the care you need right here. 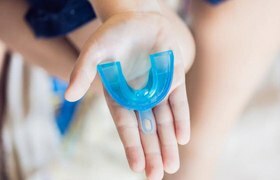 Using a custom-made mouthguard that you only wear to bed, he can help realign your jaw joint and take the stress off of it, enabling the muscles and ligaments to naturally relax and heal. He can even provide something called a nightguard that can accomplish this and prevent your teeth from grinding together while you sleep. He can also slightly reshape a few key teeth or place dental restorations to rebalance the bite. Once the jaw is functioning properly, any pain or tension in the area should go away, which for many people, means that their headaches quickly fade. The jaw will eventually adapt to its new position, helping a patient go throughout their day completely symptom-free. With an exam and some scans of your jaw, Dr. Cowell can easily get to the root of your jaw/head pain and then design a solution to treat it directly. He’s already helped thousands of patients achieve long-term relief without drugs or surgery, and he can do the exact same for you. Is your TMJ the source of your pain? If so, we’re ready and able to help, so contact us today.